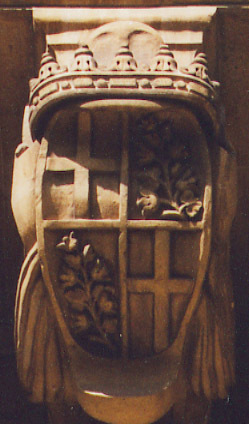 Arms of Grand Master Jean Parisot de La Vallette, on a victory column in the main square of Birgu (Vittoriosa), the seat of the Order before the construction of Valletta. The column commemorates the great siege of 1565. It was erected in 1705 and renovated in 1760. 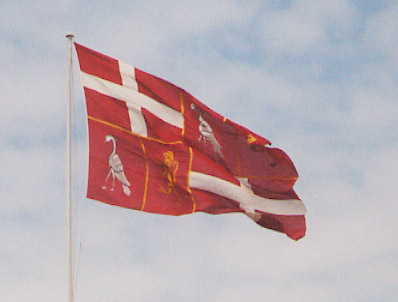 The standard of Grand Master La Vallette, flying over the building on Republic Street where the Societa Filarmonica Nazionale La Vallette is located. Obviously not a contemporary depiction, and not of hight quality, but a stirring sight nonetheless. 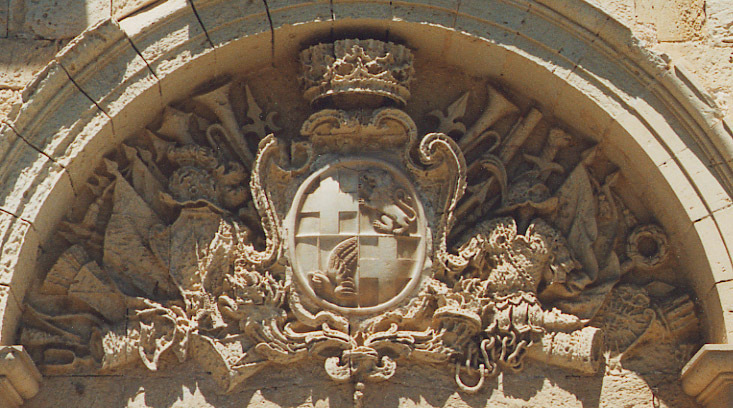 The same, above the door of the water tower in Floriana which he built as part of an acqueduct to bring fresh water from Mdina to Valletta (1615). This may be a later restoration (the stone work is in suspiciously good condition, and the hatchings are anachronistic). 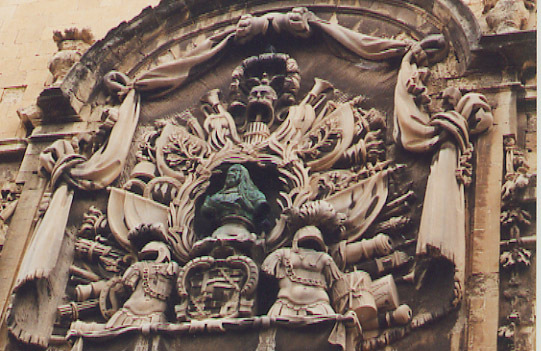 Grand Master Luis Mendes de Vasconcellos (d. 1623), from the courtyeard of Neptune, palace of the Grand Masters, Valletta. Grand Master Antoine de Paule (d. 1636), from the courtyeard of Neptune, palace of the Grand Masters, Valletta. Grand Master Martin de Redin (d. 1660), from the balcony of the Palace of the Grand Masters, Valletta. 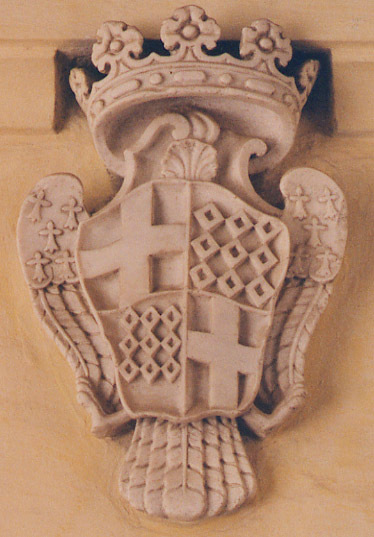 Arms of Grand Master Cottoner, on a mullion supporting the balcony of the Palace of the Grand Masters, Valletta. I don't know which Cottoner it is (Rafael of Nicola). 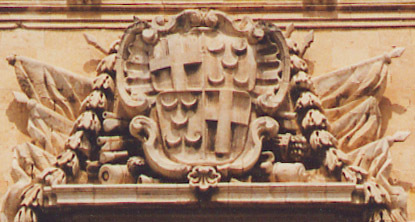 Arms of Grand Master Gregorio Caraffa, dated 1681, on the facade of the church of St. Francis of Assisi, Republic Street, Valletta. Grand Master Caraffa again, in person and with his arms, on the facade of the Auberge of Italy which he renovated. 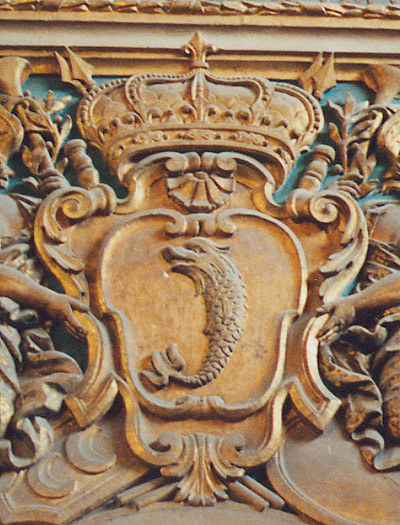 Arms of Grand Master de Vilhena, from the gates of Verdalla Palace, the summer retreat of the grand masters. 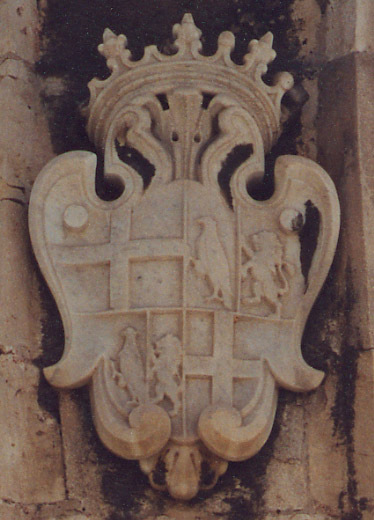 Arms of Grand Master de Vilhena, on the gate of Mdina, erected 1724 "anno MDCCXXIV principatus sui III" (in the third year of his principate). 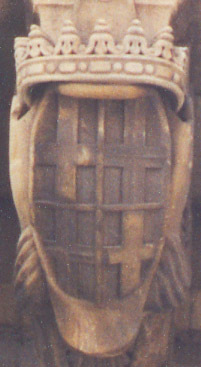 The shield itself has most likely been restored (compare with the weathered surface of the coronet and trophies). 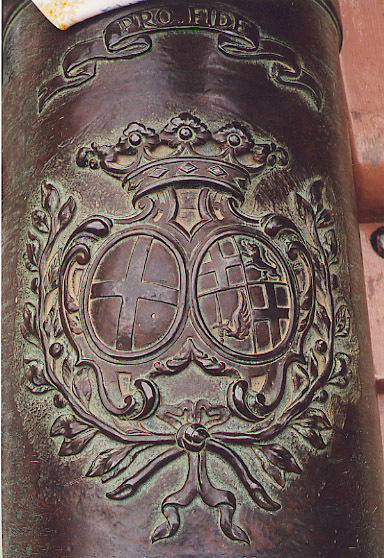 Arms of Grand Master de Vilhena, on a cannon of 1726 guarding the co-cathedral of St. John, Valletta. 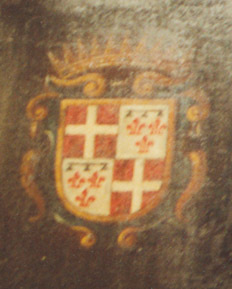 Note the arms of the Order at dexter and the motto of the Order ("Pro Fide") above. 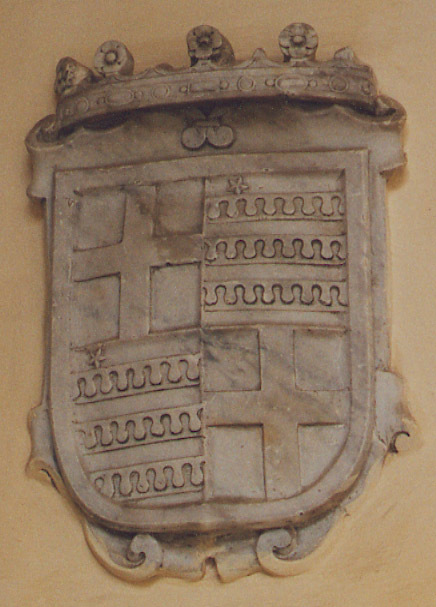 Arms of Grand Master Ramon Despuig (d. 1741), from the doorway to the Oratory, co-cathedral of St. John, Valletta. 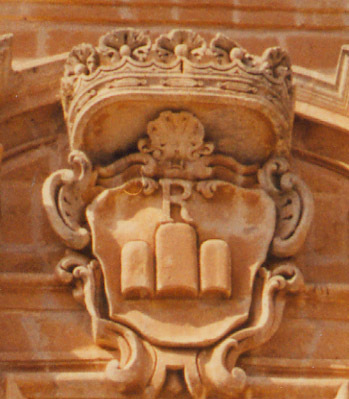 Arms of Grand Master de Pinto, on the façade of the Auberge of Castile which he renovated. 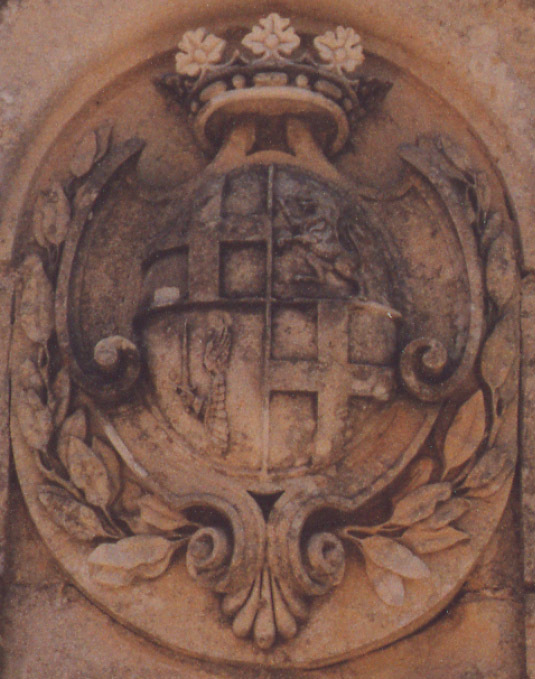 Arms of Grand Master Pinto above a doorway, on the road between St. Paul's Bay and Mellieha. The arms immediately below are those of the Monte di Redenzione degli Schiavi, a charitable foundation established in 1607 under GM de Wignacourt, to finance the redemption of Christians enslaved by the Moslems during raids (the Order did the same, of course, and revenues from the redemption of Moslems captured by the Order formed one of its sources of income). The other arms are obviously those of bailiffs of the order. In the background, the national bird of Malta (the construction crane). 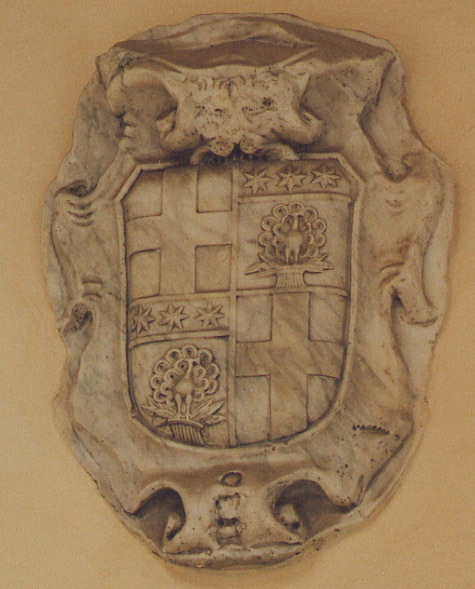 Arms of the Monte di Redenzione degli Schiavi, from the facade of the nearby castle of Selmun, built by the Monte in the mid-18th c. The Selmun Palace is now a hotel. 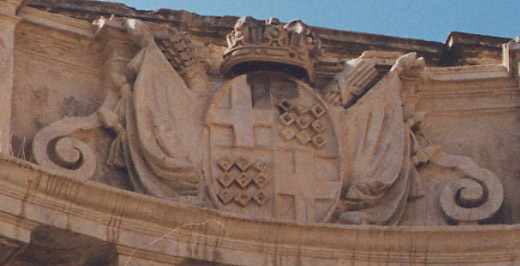 Arms of Grand Master de Rohan, on a fountain on Palace Square, Valletta. 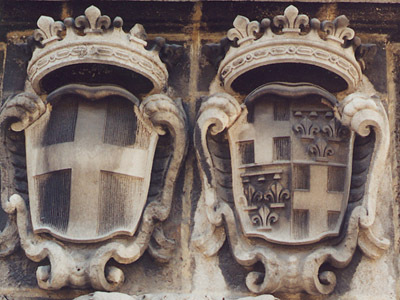 Arms of Grand Master de Rohan, courtyard of Prince Alfred, Palace of the Grand Masters, Valletta. In 1301, the Order was organized in seven Langues, by order of precedence: Provence, Auvergne, France, Spain, Italy, England, and Germany. In 1462, the Langue of Spain was divided into Castile-Portugal and Aragon-Navarre. The English Langue went into abeyance after the order's properties were taken over by Henry VIII in 1540. In 1782, it was revived as the Anglo-Bavarian Langue, containing Bavarian and Polish priories. The structure of langues was replaced in the late 19th century by a system of national associations. In Rhodes, the knights had been housed in Auberges (Inns) segragated by Langues. 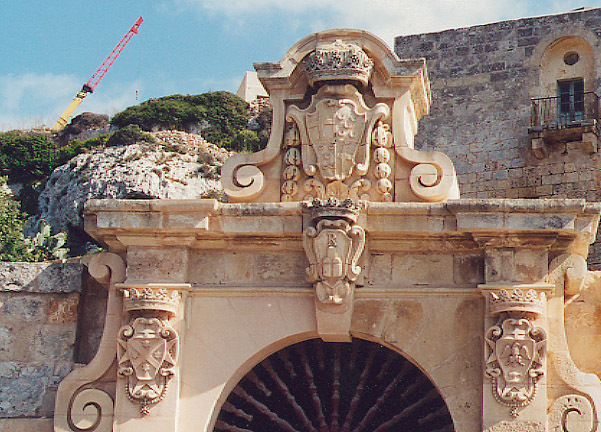 This structure was maintained in Birgu (1530-1571) and then Valletta (from 1571). The auberges in Birgu remain, mostly undistinguished 16th c. buildings. Valletta still has the auberges of Castile-Leon (1574; renovated 1741 by GM de Vilhena, now the Prime Minister's offices), Italy (renovated 1683 by GM Caraffa, now the post-office), Aragon (1571, now Ministry of Economic Services), Bavaria (former palazzo Carnerio, purchased in 1784 for the newly formed Langue), Provence (now Museum of Archaeology). The auberge of Auvergne was damaged in World War II and replaced with Law Courts. The auberge of France was destroyed in World War II as well. 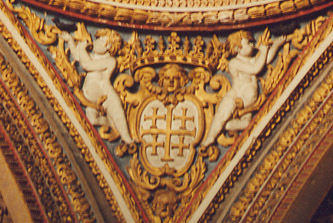 Arms of the Langue of Provence, on the ceiling of its chapel, St. John, Valletta. 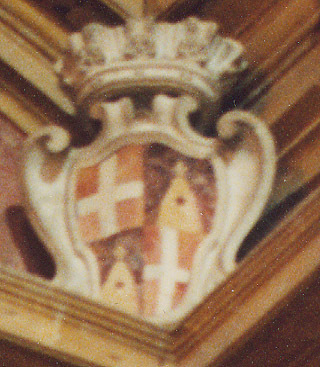 Arms of the Langue of Auvergne, on the wall of its chapel. 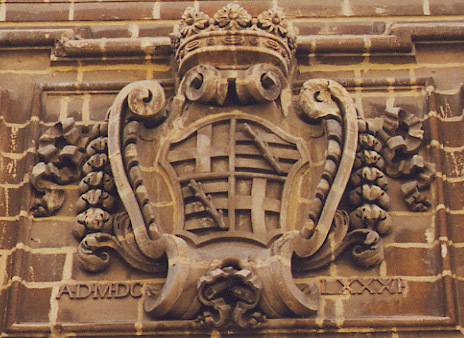 Arms of the Langue of Castile and Portugal, atop the façade of its Auberge (now the Prime Minister's residence).